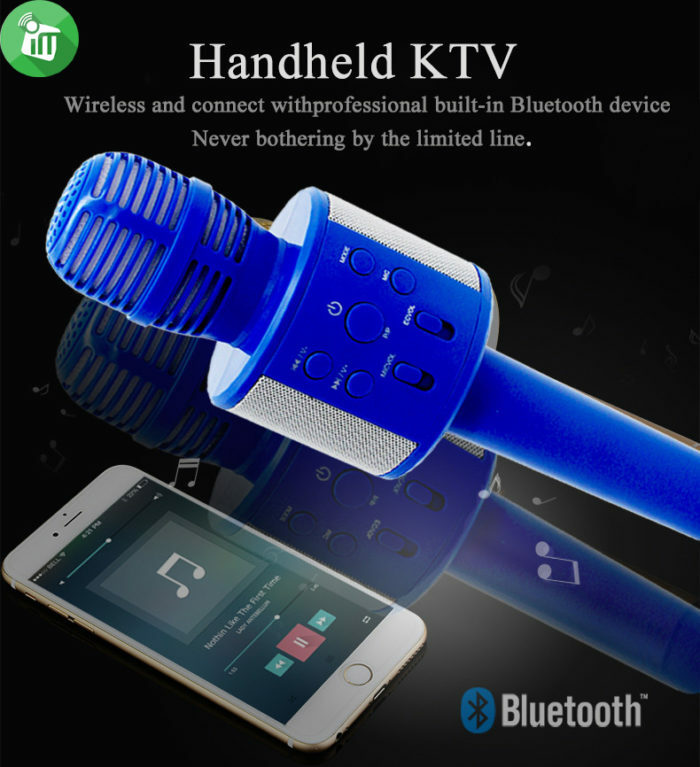 iKaraoke Q858 KTV Wireless Microphone and Hifi Speaker, is a versatile device combining a vocal Bluetooth microphone and a wireless speaker. 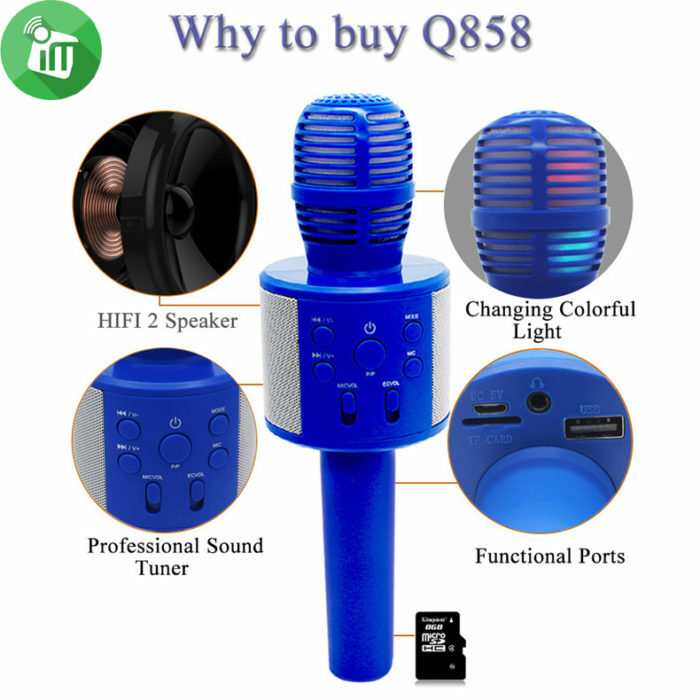 The mobile karaoke microphone Q858 is probably the best model for the youngest singers and singers, and it’s also an excellent way to brighten up the evening with friends.Microphone Q858 – one of the most affordable and practical options for a wireless microphone, but at the same time, the functionality, volume and sound almost the same as microphones more expensive. 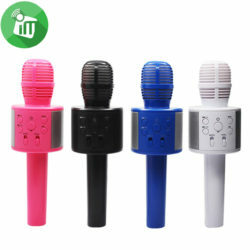 The case of portable microphone Handheld KTV Q858 is made of light, but durable plastic, due to which it can be safely entrusted to small children. 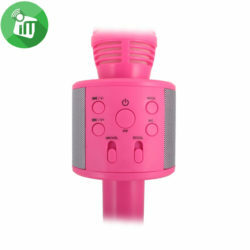 A bright, positive colors and multi-colored LED illumination of the head of the microphone will additionally please your child. 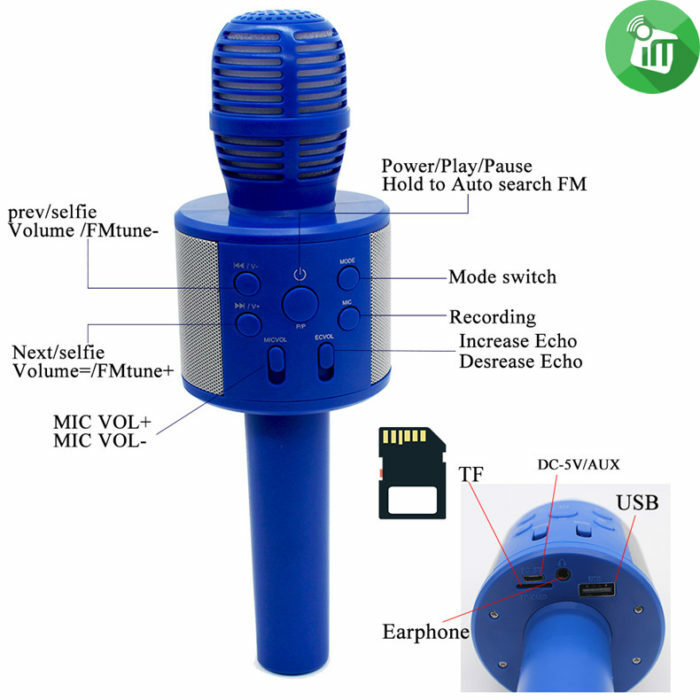 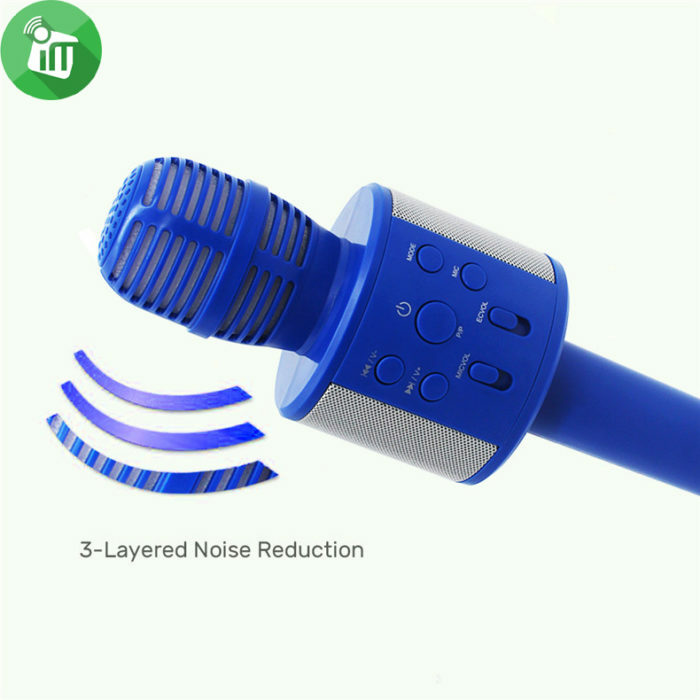 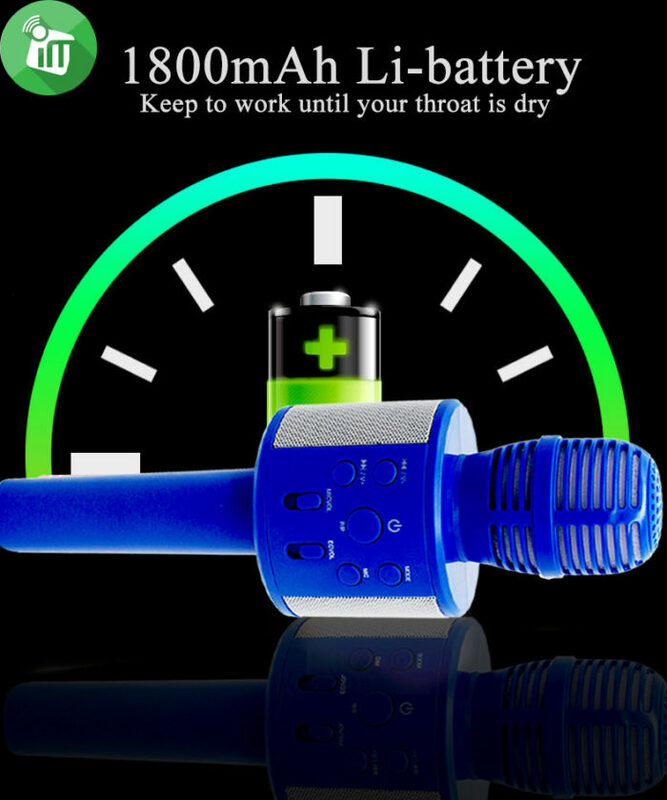 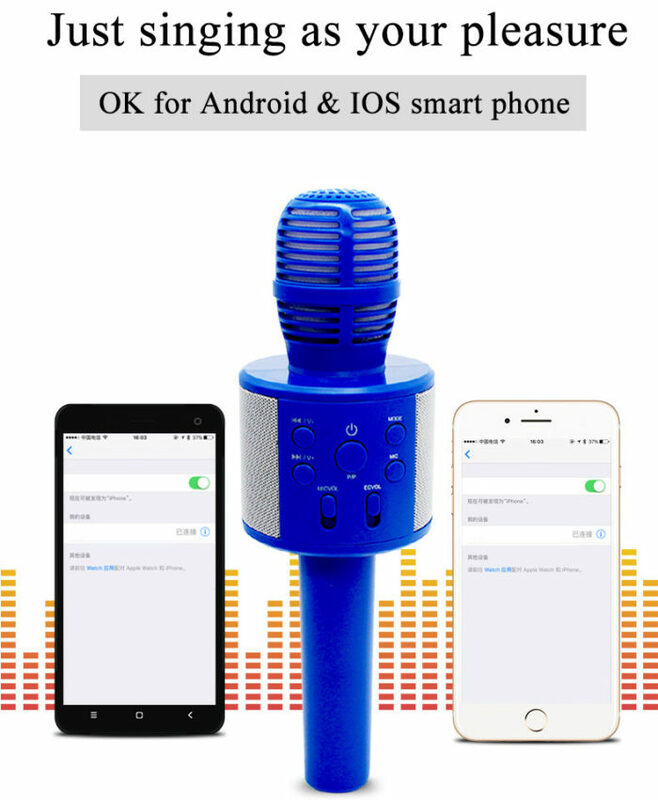 Like other microphones, this one can also be used as an MP3 player, portable speaker or karaoke microphone in combination with a smartphone or tablet, and even as a mobile charger in emergency situations. 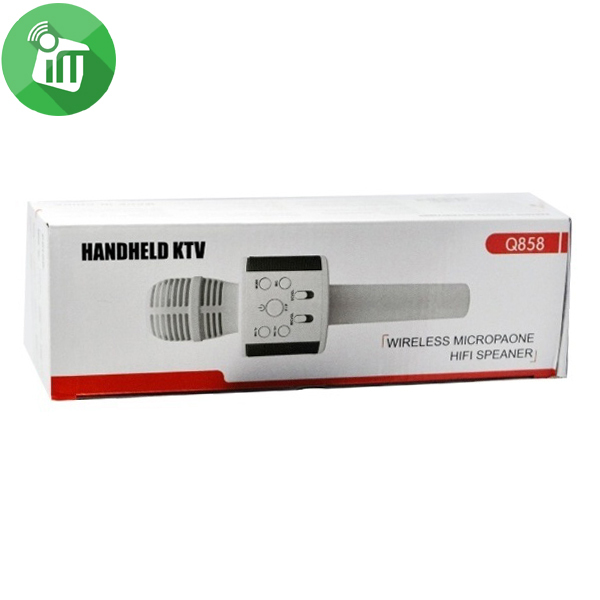 Model Q858 is equipped with a wireless Bluetooth module, a USB slot and micro USB for reading music files. The portable, durable and lightweight wireless microphone-karaoke Q858 is easy to carry. 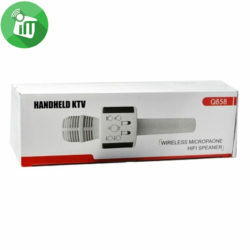 It is compatible with most mobile phones and tablets, as well as it is quite self-sufficient device. 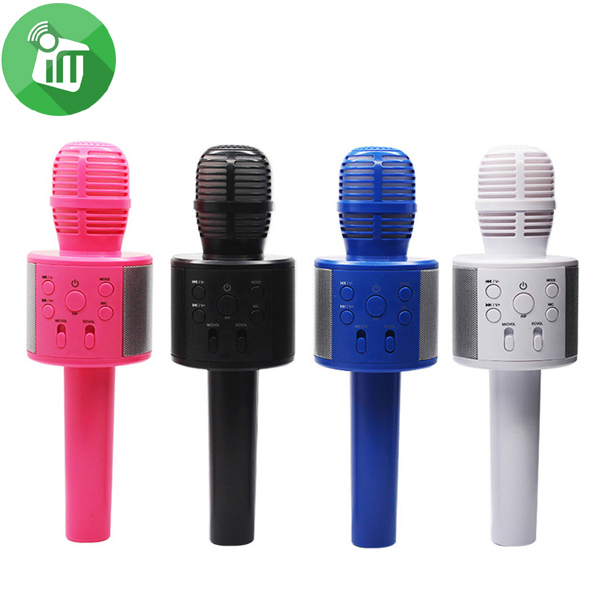 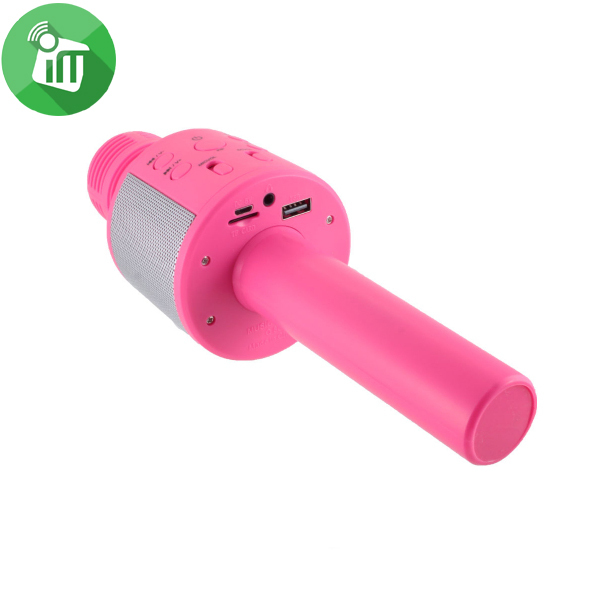 Suitable for trips, picnics, parties, family entertainment, singing in karaoke, etc. 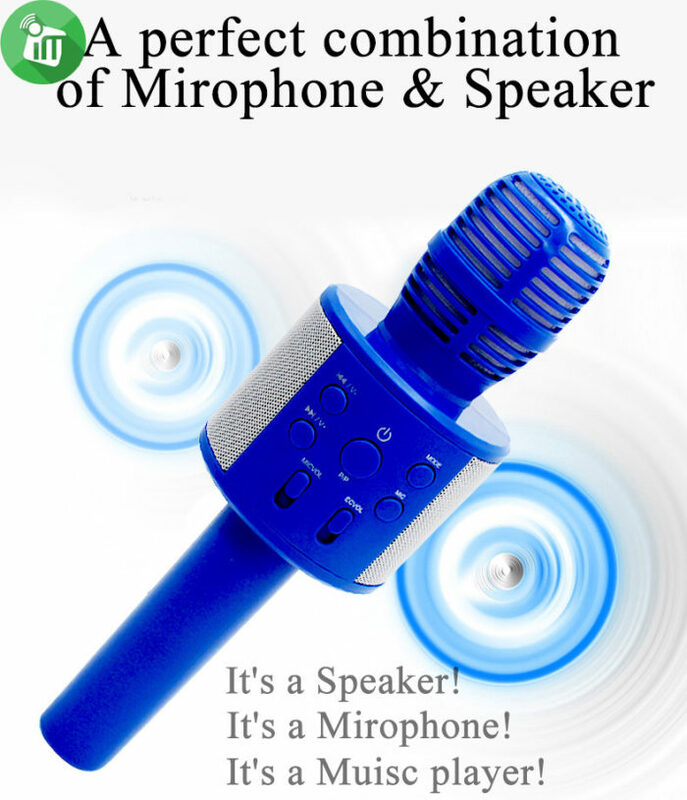 Wide range of applications: for picnics, trips, parties, family entertainment, lectures, guide, singing in karaoke, etc.